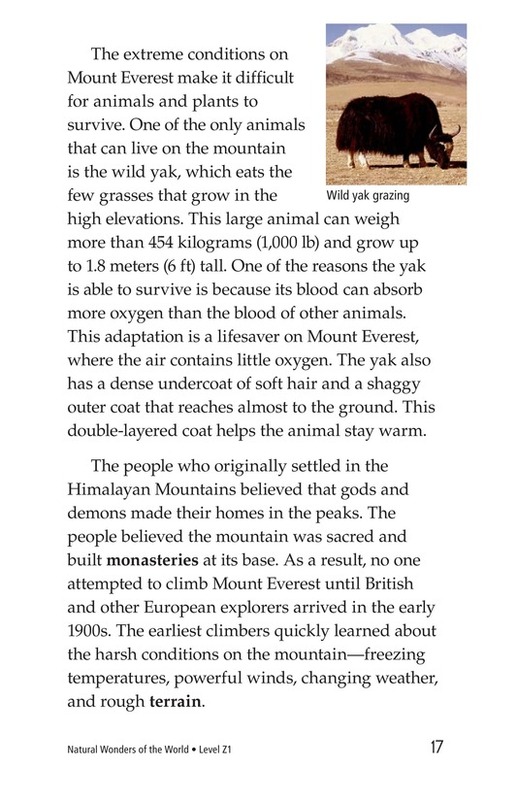 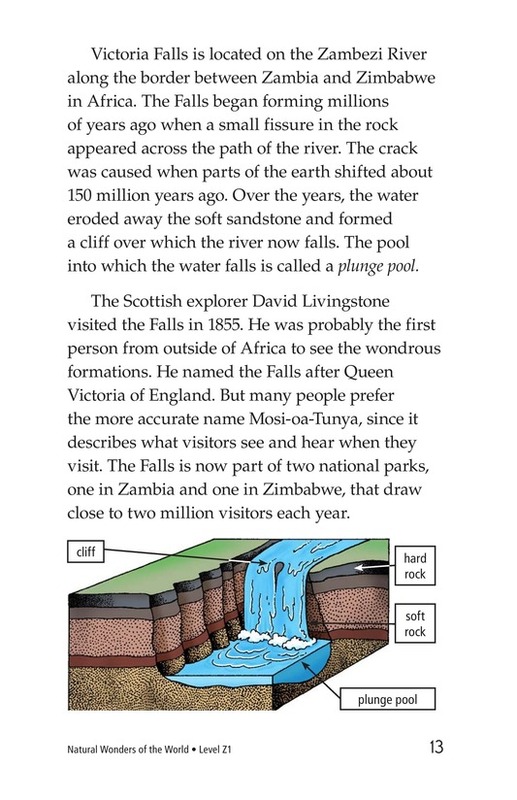 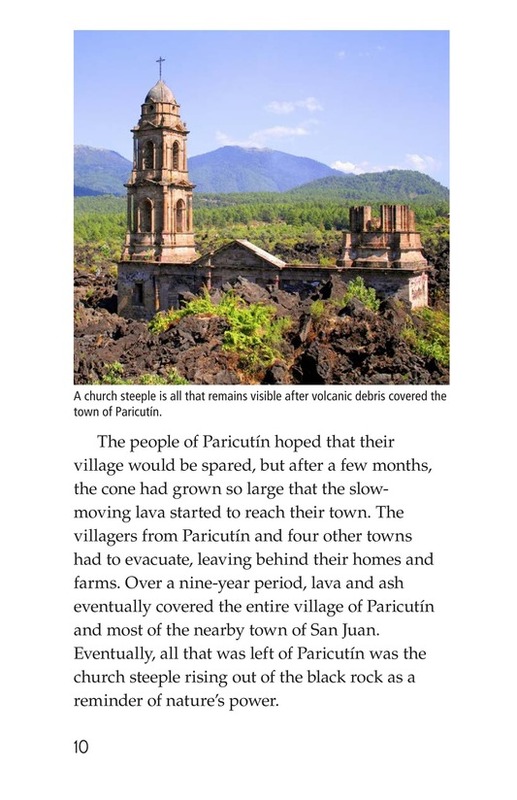 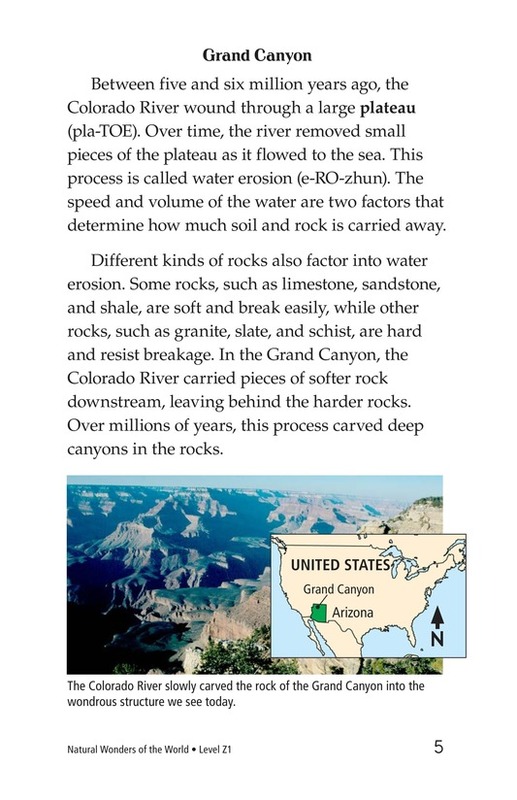 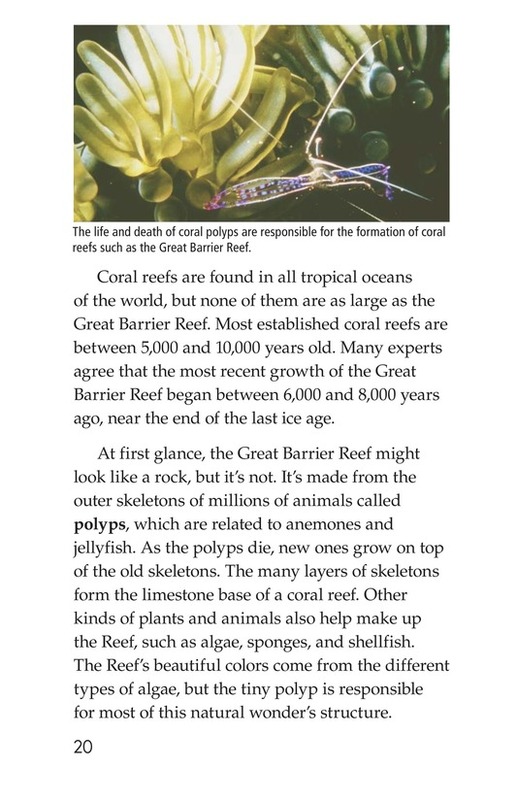 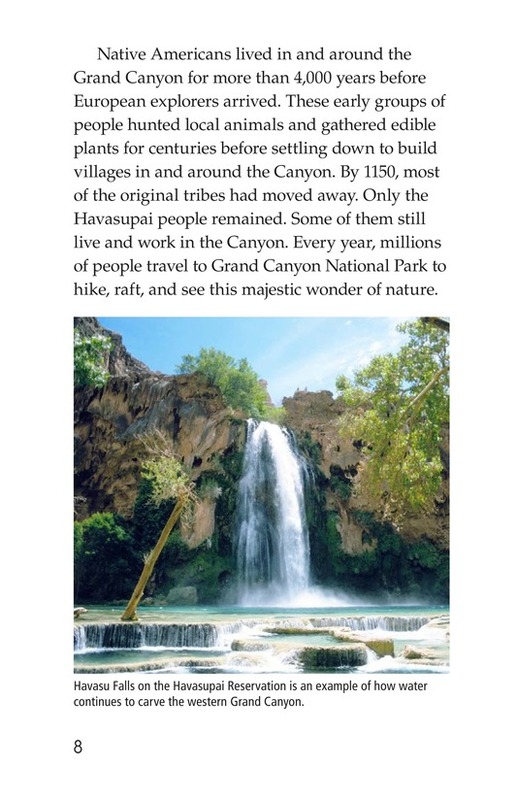 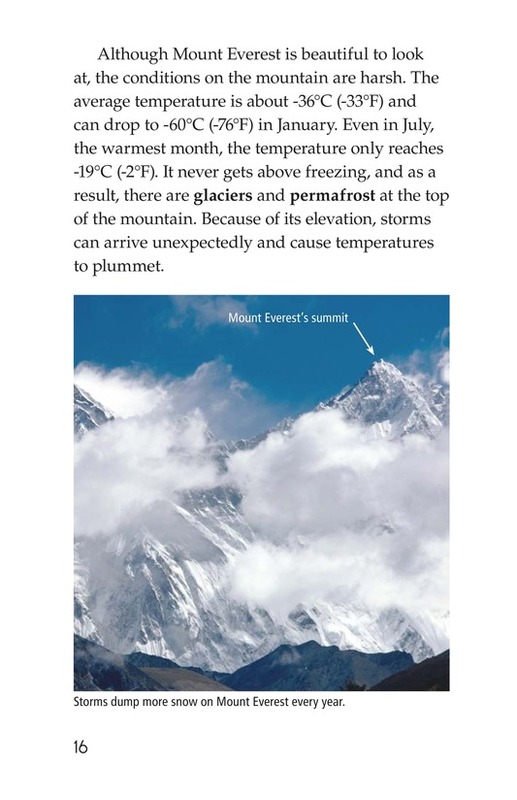 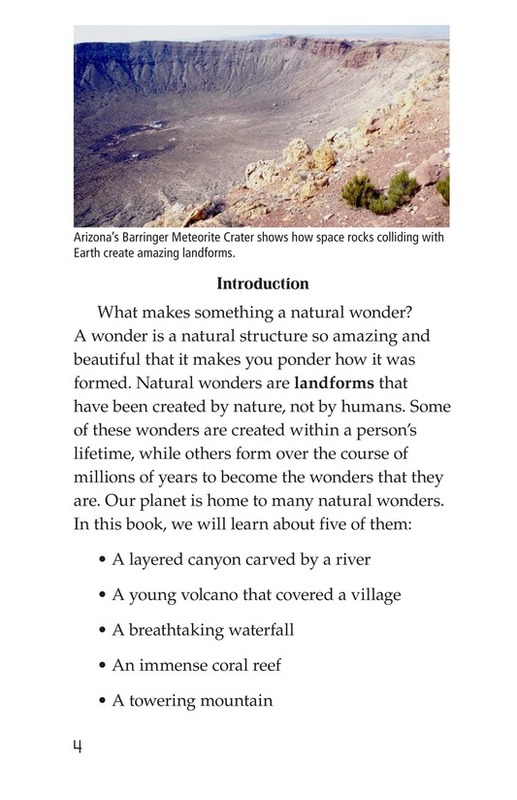 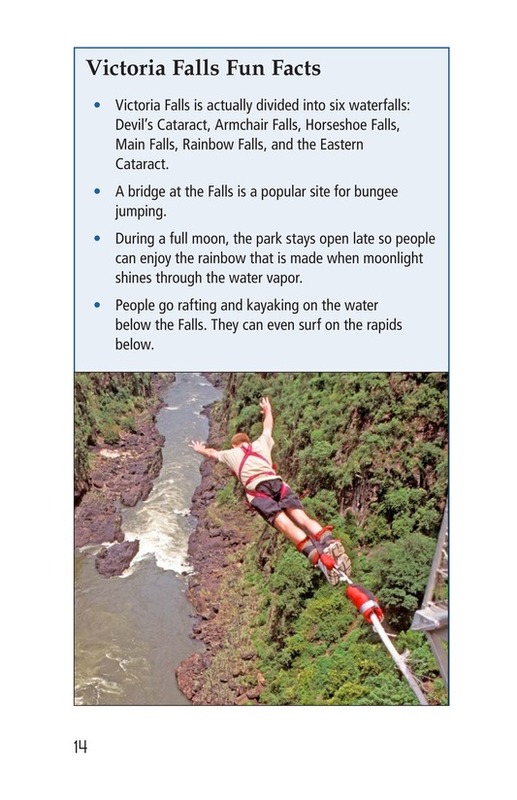 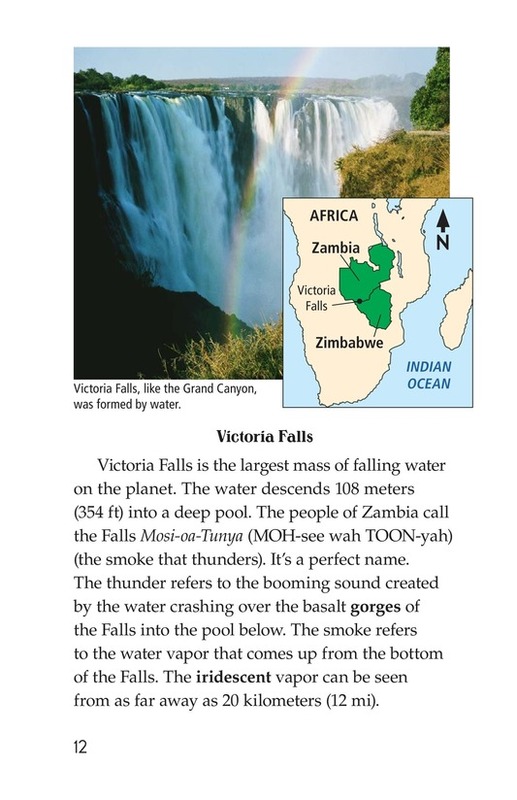 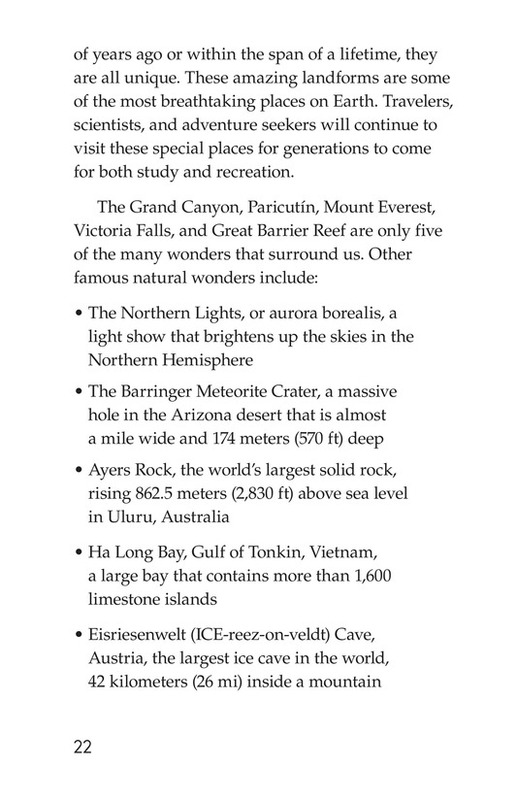 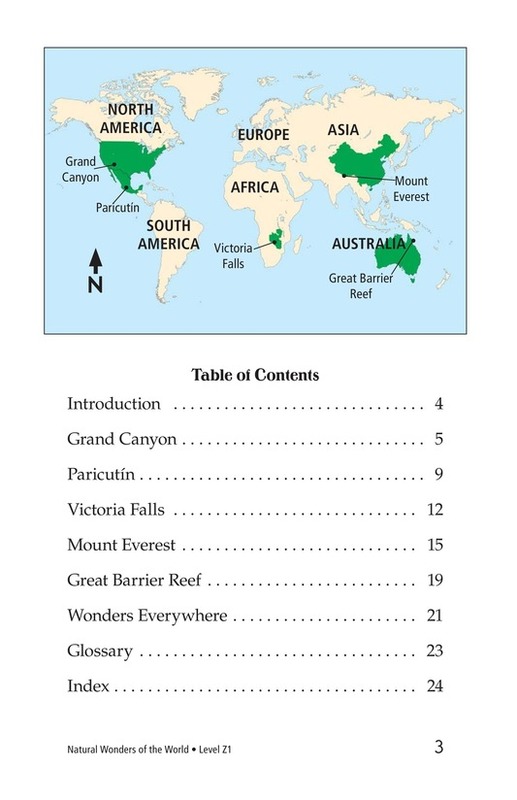 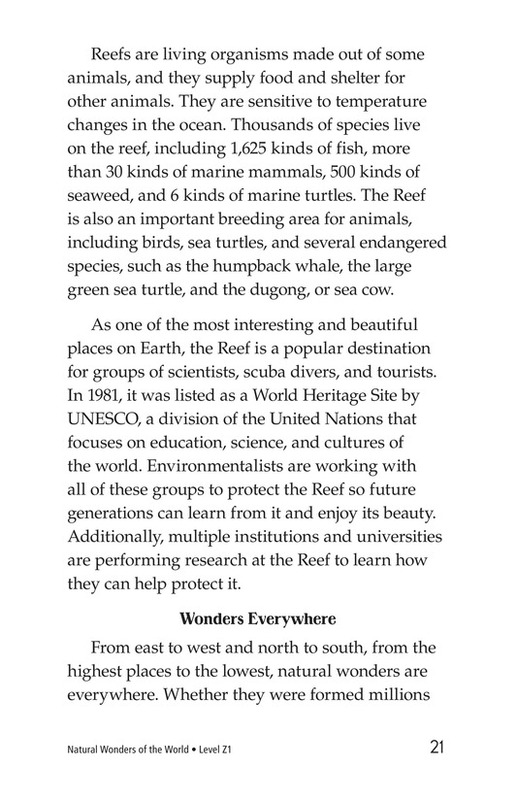 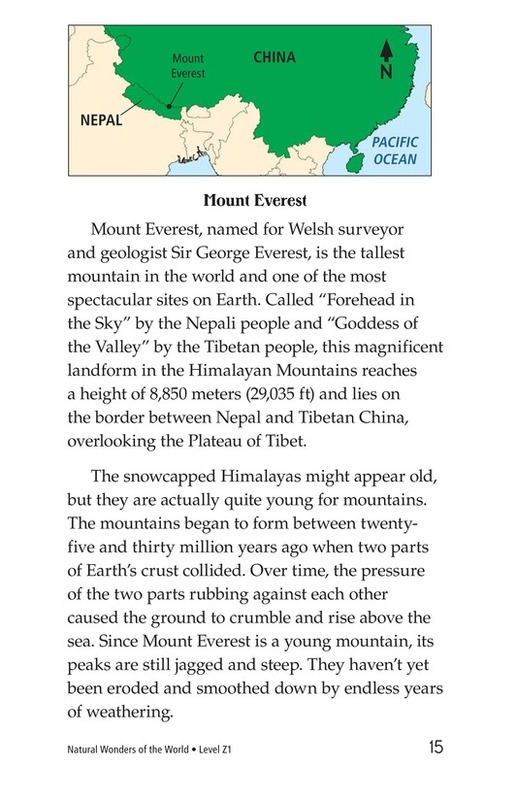 Natural Wonders of the World teaches readers about five of the natural wonders of the world: the Grand Canyon, Paricutín, Victoria Falls, Mount Everest, and the Great Barrier Reef. 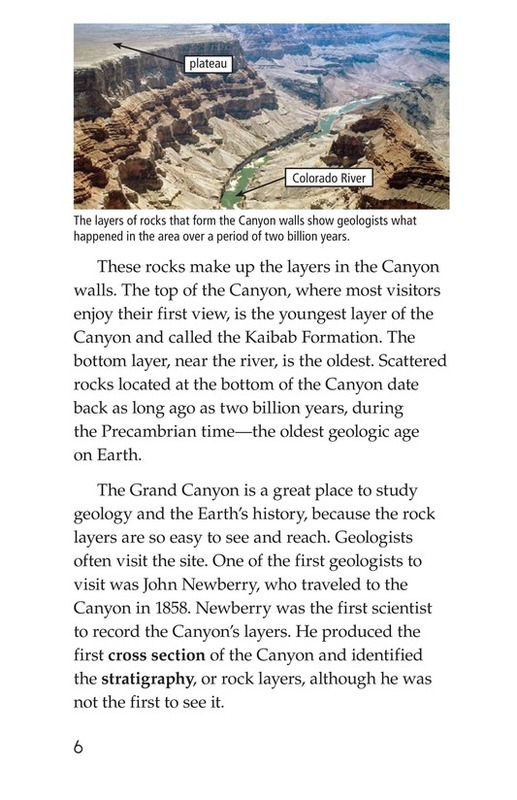 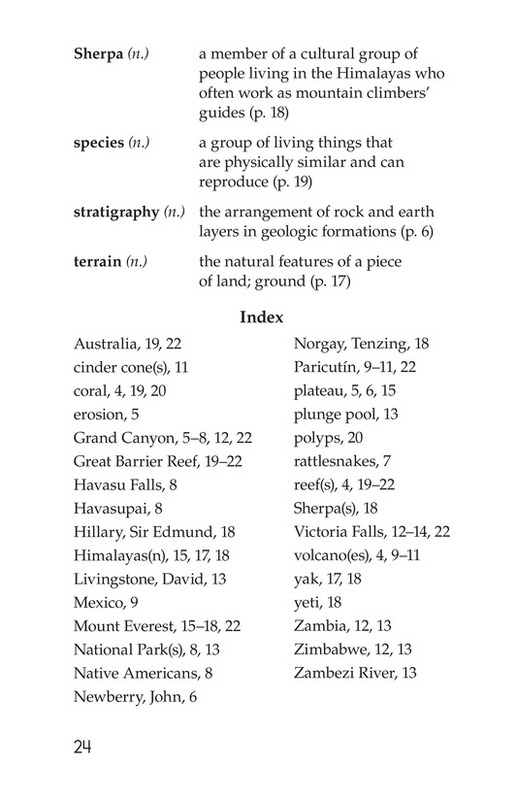 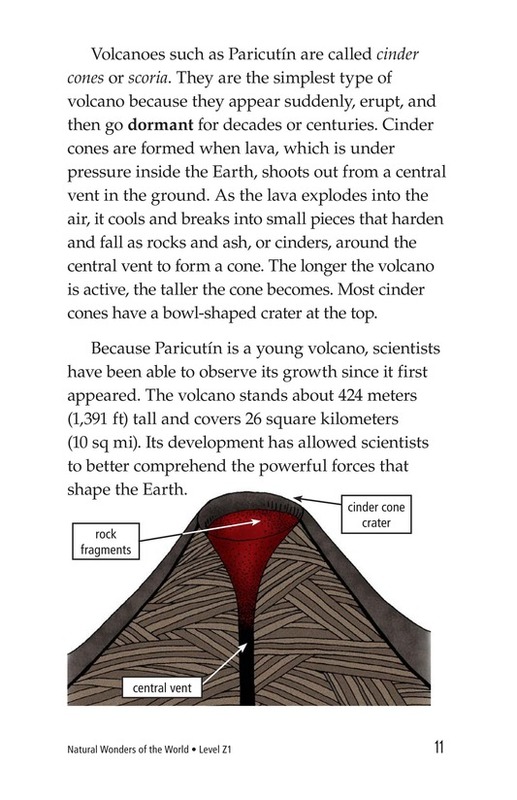 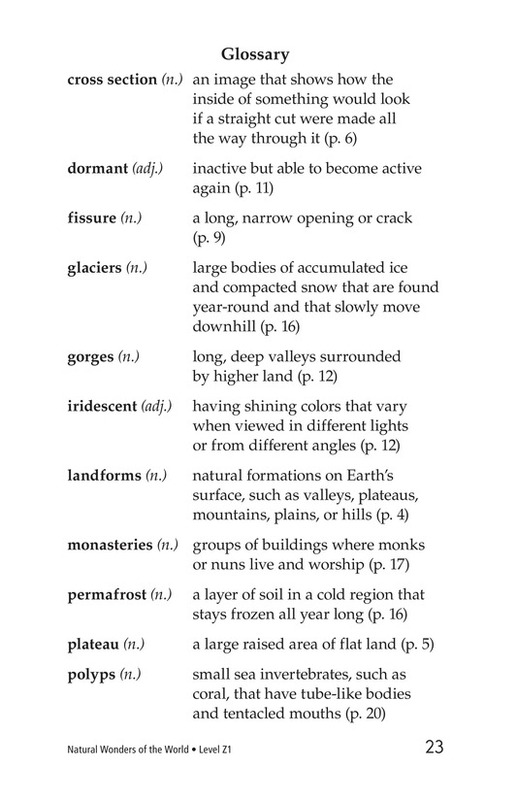 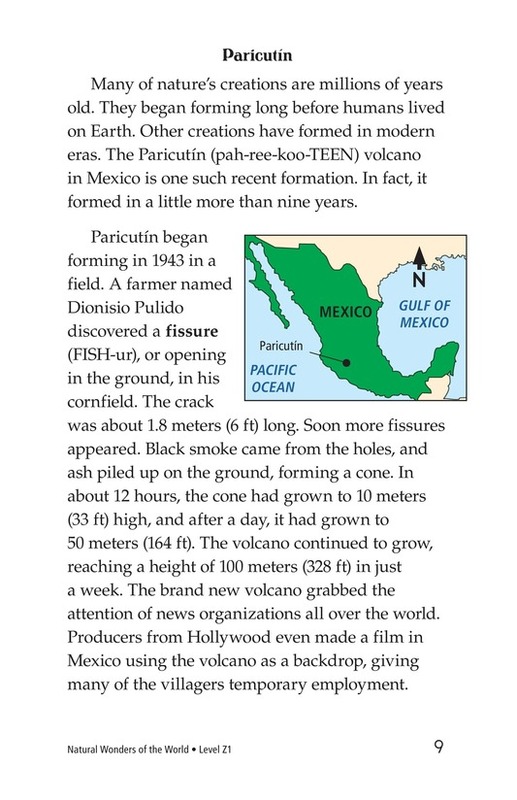 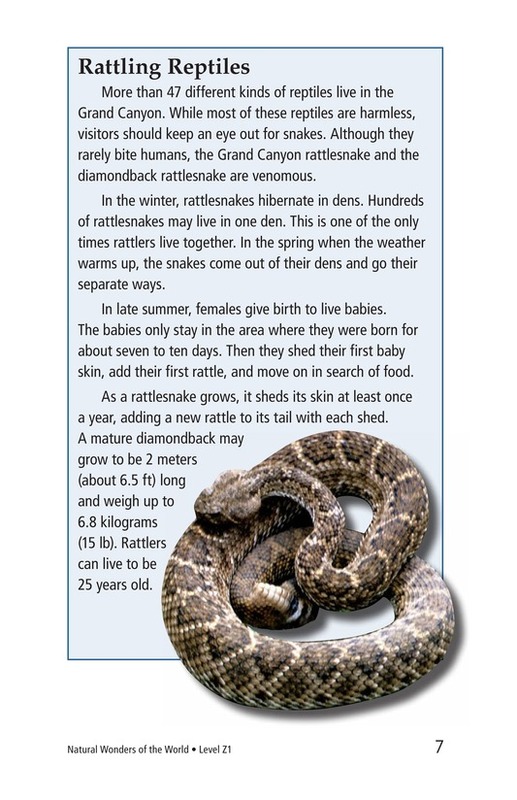 The book explains how the structures were formed and where they are located. 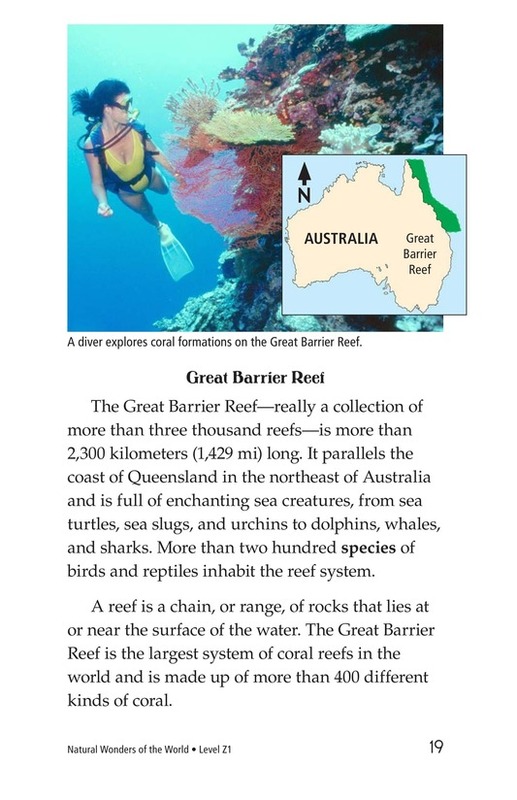 Maps, charts, and photographs support the text. 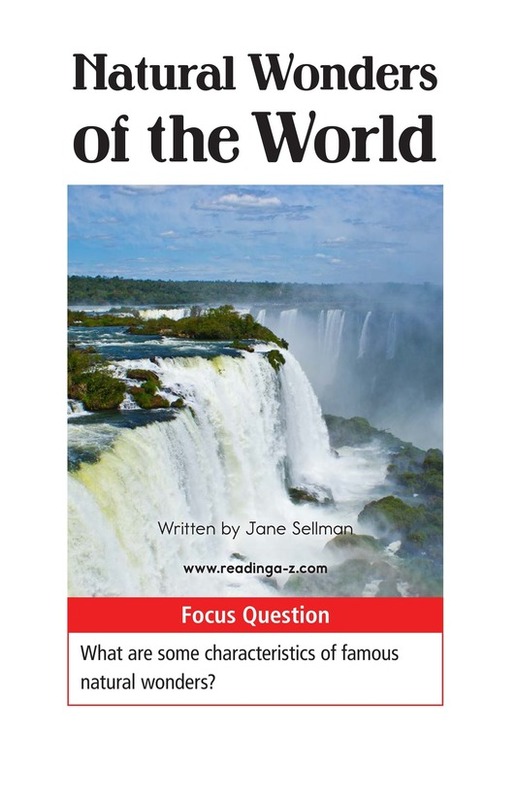 Students will also have the opportunity to identify cause-and-effect relationships as well as to summarize to better remember the text. 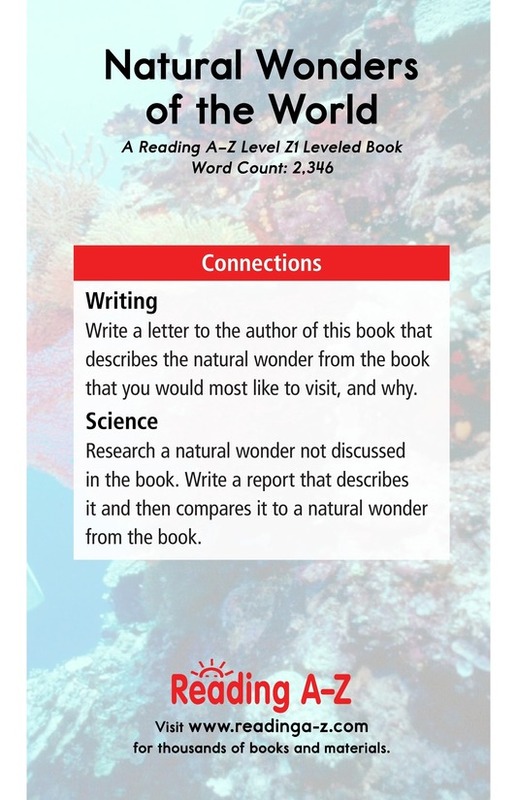 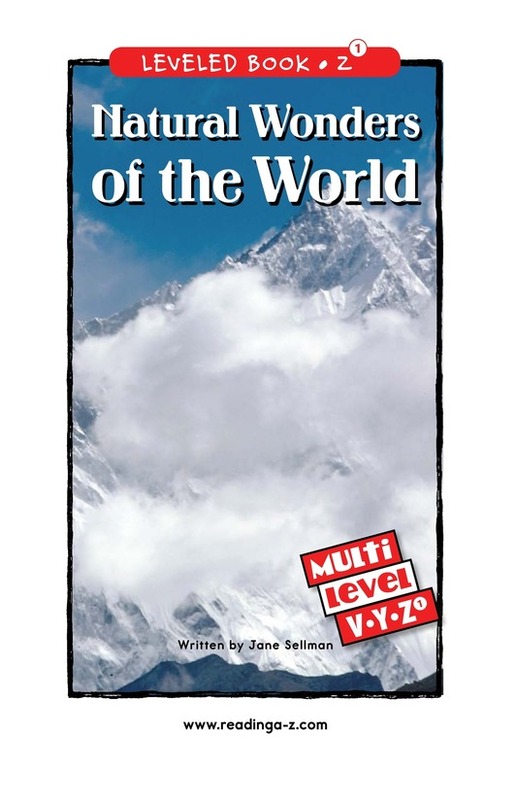 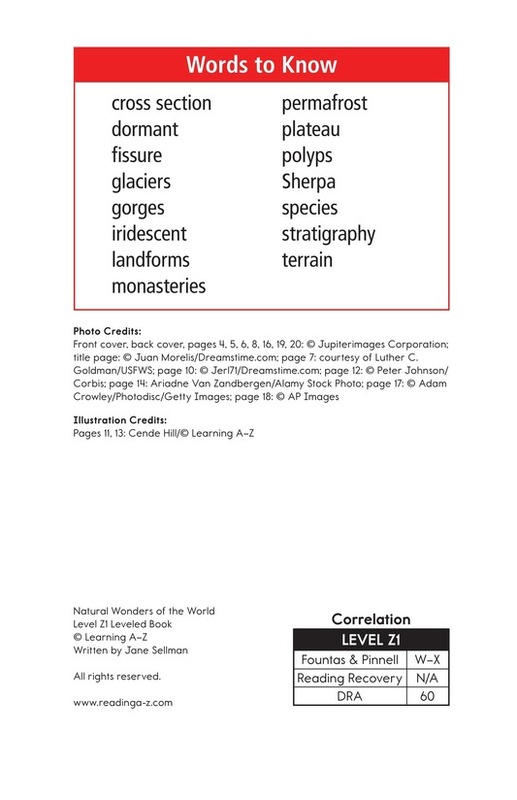 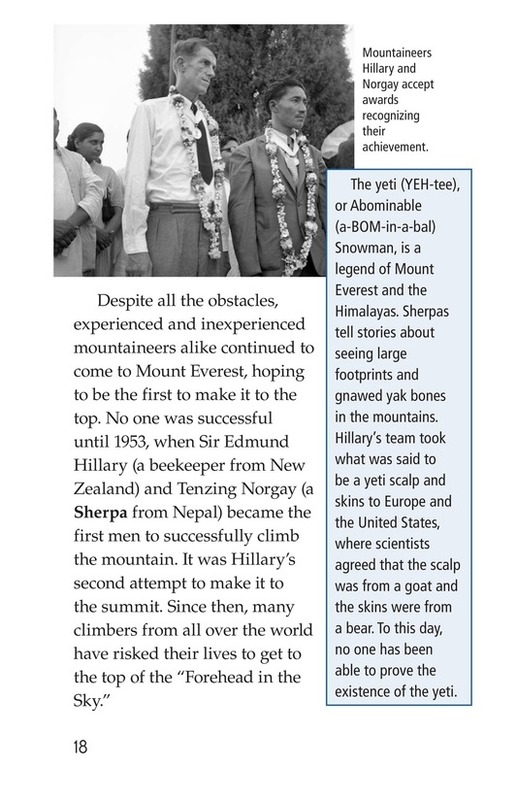 The book and lesson are also available for levels V and Y.